Finding intricately created horseshoe art need not be difficult. Purchase one from Rutledge Forge | John Drury, Sculptor in Blountville, TN today! 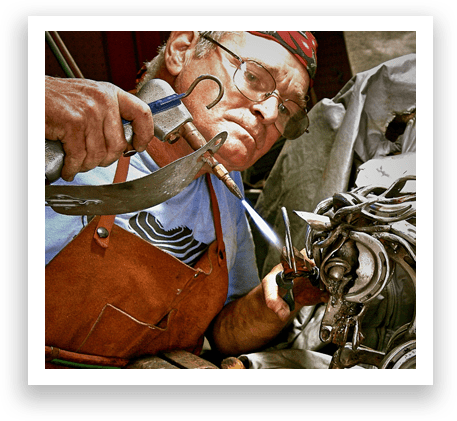 Having been a steel sculptor for years, he creates wonderful works of art using horseshoe metal. Ideal as gifts, decorations, or as an addition to your art collection, his horseshoe art pieces will surely captivate you. Rutledge Forge was originally a small workshop with limited space but lots of character where I dreamed of pursuing my vision of creating sculptures out of forged horseshoe metal. Its namesake was a thoroughbred gelding named “Mr. 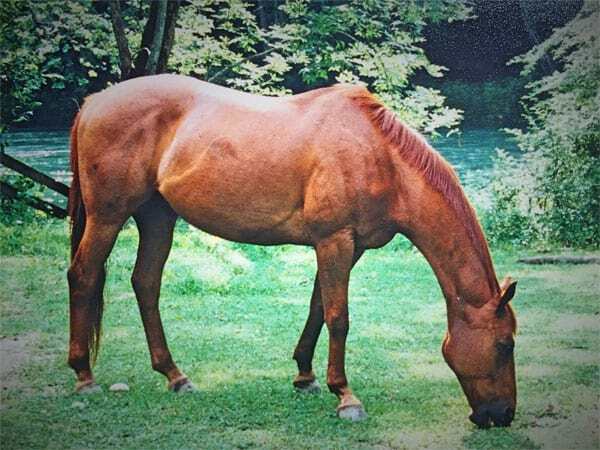 Rutledge”, a registered son of the famous race horse, Secretariat that Cindy won with a single $3 raffle ticket at the Virginia Thoroughbred Festival in Lexington Va. She and “Raffle”, as she fondly nicknamed him, competed in local hunter jumper competitions for a number of years. He retired to our farm where he supplied artistic stimulation for my sculptures until his death in 2007. Over the years as I accumulated more and more equipment and tackled more and more complicated sculptures, my workspace grew into its current home, a dedicated studio nestled into the side of the hill in a pasture at our small rescue farm. Rutledge Forge studio has become a gathering place for interested patrons and likeminded metal workers, artisans, and farriers in the area. While it is a working studio and not a storefront, demonstrations and lessons on technique and composition are often part of my busy schedule. It has taken years to gather all of the tools I need to create these diverse sculptures, and the studio is home to an eclectic mix of the old and new…all with the aim of telling the stories of individual horses and other local animals in need. To this end, all profits from Rutledge Forge are now used to fund emergency care for abused, neglected, and/or abandoned animals. Take the horseshoe...the cold steel that connects the horse to the earth...forge it red-hot, hammer and shape it, then repeat; add more metal and repeat again to slowly transform it into a smooth, flowing, gleaming representation of the majesty of this incredible animal. This is what I do. I see it as sort of a metaphor of our life; we take the hard, cold, sometimes brutal and unfair building blocks of life that we are given, and using our inner visions, thoughts, and feelings, combine them with our developed talents to express and magnify the wonder of life. As I journey through this process, I strive to end up each individual project with a piece that contains a flow and balance that is calming to look at, and one that also is interesting and fun to touch and explore. If that exploration makes the person feel good, then I am happy! My process is not a structured one. On the contrary, it is totally fluid, starting with a random structural point and building by feel and trial-and-error to achieve the desired result—redoing the whole process until my "inner eye" and that "inner voice" says that it is finally right. The steel is uncompromising and unforgiving, quickly letting me know when the shape, form, or structure is not right, but just as quickly showing when it is finally the way it should be. It is sometimes a frustrating quest. Sometimes it is difficult, even tortuous. But it is ALWAYS exciting and rewarding and so, I am compelled to continue. Over time I have become more and more concerned about the epidemic level of animal abuse and neglect that is occurring in our communities. At our small rescue farm, a week rarely passes that we are not contacted with requests to help defray costs associated with veterinarian bills necessitated by this abuse. In an attempt to help alleviate this problem, I am committing 100% of profits from the sale of my sculptures to be contributed to help pay the medical/rescue costs for abused and neglected animals identified by local authorities. Please help if you can! Specializing in creating equestrian-themed, table-sized horseshoe art sculptures, John Drury has mastered the art of turning disposable metal into captivating ornaments that everybody will love. Purchase his steel artworks today and rest assured that you will get no less than quality craftsmanship at a reasonable price. If you decide that you are not satisfied with the artwork within 7 days of receiving it, simply ship it back to him and he will refund the purchase price.